Anthony de Francisci, the designer of the Peace Dollar, was born on July 13, 1887 in Palmero, the capital of the region of Sicily in Italy. The de Francisci family immigrated to the United States when Anthony was eight years old, and he became a naturalized American when he was 26. De Francisci studied to be a sculptor and engraver. 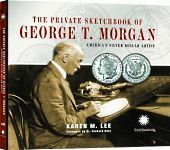 He was the student of several famous artists who had also designed U.S. coins, including James Earle Fraser (designer of the Buffalo Nickel), Hermon MacNeil (designer of the Standing Liberty Quarter), and Adolph Weinman (designer of the Mercury Dime). De Francisci’s first work for the U.S. Mint was to convert existing drawings into models that could be used to produce the 1920 Maine commemorative half dollar. De Francisci had very little control or creative input in this job and in his later years did not speak very favorably of the final result. 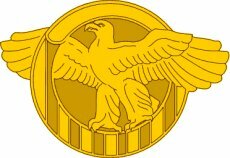 In 1921 the United States Commission of Fine Arts staged a competition to create the design for a new “peace coin” to replace the Morgan Silver Dollar. De Francisci was one of eight “prominent sculptors” who were invited to participate. He was the youngest participant — only 34 years old — and many of the sculptors he was competing against had already successfully designed U.S. coins, including two of his former teachers, MacNeil and Weinman. Despite this stiff competition, de Francisci’s design was chosen unanimously, and he won the $1,500 prize. Production of the new Peace Dollar was on a very tight schedule. De Francisci was not allowed the time to find a professional model to sit for his sculpture of Lady Liberty, so he asked his wife, Teresa de Francisci, to be his model. She was happy to agree. During the production of the Peace Dollar de Francisci had to deal with several controversies and production problems. The biggest controversy came about when a prominent American newspaper, the New York Herald, took offense at the broken sword originally depicted on the reverse of the coin. De Francisci felt that the broken sword, taken with the other imagery on the coin, represented peace, but the newspaper editors insisted that a broken sword stood for surrender and defeat. The resulting letter-writing campaign ended with Mint officials asking de Francisci to change the design. De Francisci also eventually had to approve several more changes to to the Peace Dollar because its high-relief (deep) design was causing dies to wear and break prematurely. After a brief pause for adjustments, production continued with a lower relief version of the coin. 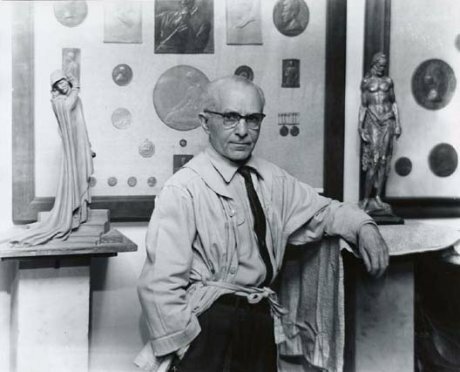 The Peace Dollar was probably de Francisci’s most famous work, but later in his career he created several other medals and sculptures that are still quite well known. On July 4, 1926, the Sesquicentennial Flagpole was dedicated in Union Square, New York, to celebrate the 150th anniversary of the signing of the Declaration of Independence. Perry Coke was the architect for the project, and de Francisci was responsible for modeling the bronze reliefs on the base of the flagpole. The reliefs are very complex and symbolic and represent the advancement of human civilization. De Francisci’s other works include the Inaugural Medal for the 1964/65 World’s Fair and the Lincoln medal in the Hall of Fame for Great Americans. He was also a Fellow of the National Sculpture Society and an Academician of the National Academy of Design. Anthony de Francisci died on October 20, 1964, twenty-nine years after the last production run of the Peace Dollar. He was 77 years old. 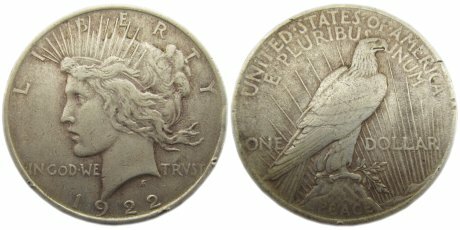 Filed under Coin Designers, Peace Dollar.